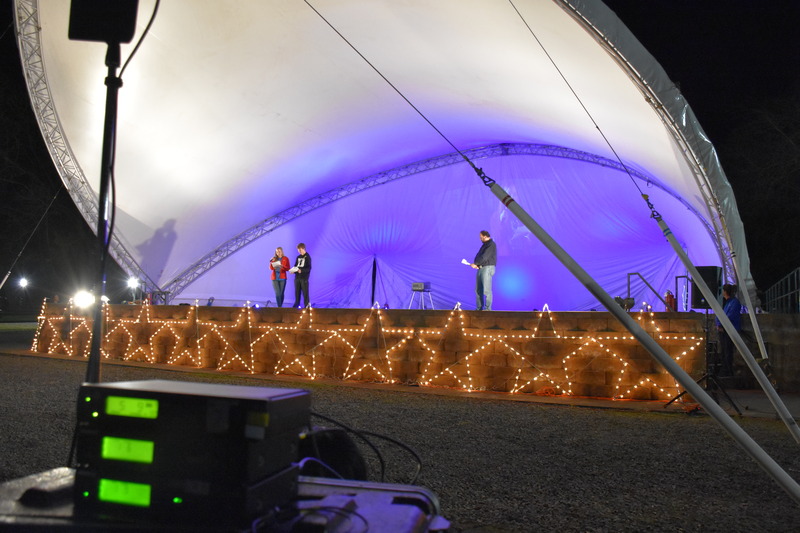 AV Connections, Inc. of North Carolina was once again so very pleased to support the Northwestern North Carolina Make a Wish Chapter's 2015 Walk for Wishes Fundraiser with branded lighting rentals. This 5k walk and run road race which winds through the Festival of Lights was held for the sixth year at Tanglewood Park in Winston-Salem. 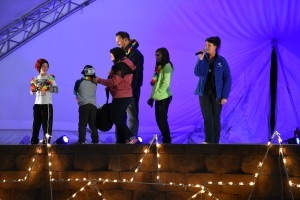 The $120,000 raised so far goes to grant wishes to children with terminal sicknesses in Western North Carolina. 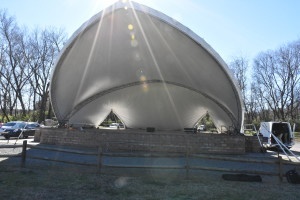 Make A Wish's Walk for Wishes begins in Forsyth's County park jewel, Tanglewood and ends at the Tanglewood Ampitheater. Inside the ampitheather. AV Connections, Inc. helped to kickoff the holiday season with this event by providing dramatic lighting on a uniquely shaped scrim cover, including magnification of the speakers onto the backdrop, and delivering to the field of over a thousand people, clear sound and music. 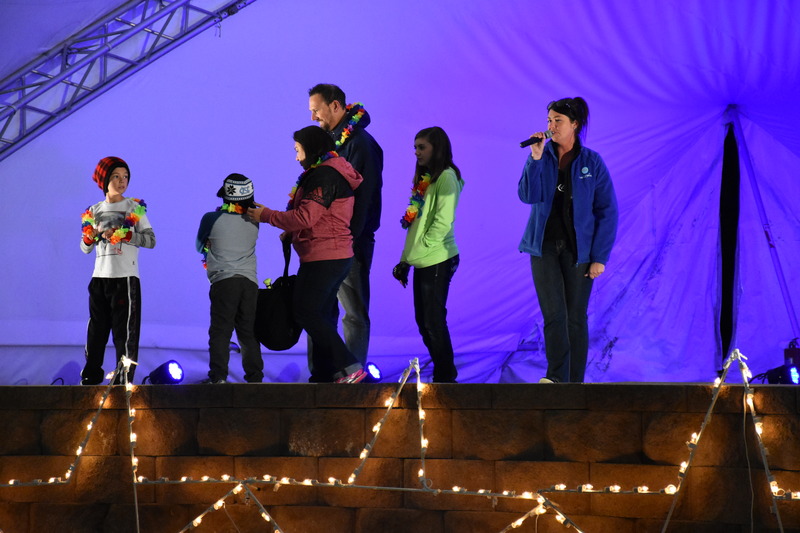 The scrim cover and accompanying branded gobo lighting adds atmosphere, seasonal excitement, and a touch of elegant but not overwhelming branding to the Walk for Wishes. 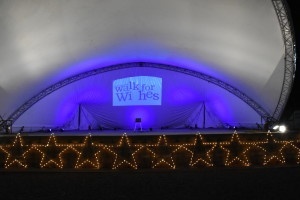 When holding a charity, or especially a business, event where many people will congregate, a great lighting design which maximizes branding and your message are critical. Often a spotlight or a bit of uplighting will be considered, but the event is truly only a half without a bit of show stopping remember-why-you're-here messaging at center front.  AV Connections, Inc. is pleased to make sight visits with you as you plan your event and to discuss the best plan for lighting and maximizing the time your guestes have before you.